A painted detail from a wedding portrait that features stained glass in the background. They drove up en mass to our stained glass studio. I smiled because people usually made an appointment as we left the shop at times to install our stained glass windows in the cities in and around Orange County in Southern California. I’m glad we were there when they came. They were a committee of ten – people from my childhood. The church where I had grown up had contracted with us to purchase some stained glass windows for their sanctuary. I was very happy for it meant more than a job, it meant more than making art – this place and these people were part of a sacred history for me. The jolly gentleman in charge was someone everyone knew and respected. He had led the youth groups long ago and now in his senior years he was purchasing this stained glass for the church in memory of his late wife. I only remember her in a wheelchair, how devoted he was to her, and that I was always offered fruitcake when my father and I went to visit their home. That was before my taste matured to appreciate fruit cake. There was the tall couple from the choir. His head was bald and shiny and in my memory I always remember a certain glare, for I must have seen him under the lights. His wife had one of those peuffy 60’s hair – dos. I think she sang soprano. There was someone who was kind of fussy, but I don’t remember what she looked like, only what she said. And then, among them was the sweetest kindest lady named Skip. She was my Sunday School teacher in kindergarten. I loved her. The committee of ten came to select colors for the stained glass windows to adorn their sanctuary. The stained glass design they had picked was very simple – so only four colors were needed. We had ten people to pick four colors. Are you starting to get the picture? Well they bantered back and forth about what combinations would be best. I remember someone stating emphatically that they had just painted the sanctuary peach. I think it was the grumpy lady and she seemed a little unsettled that our glass selection, (which was from all over the United States and Europe mind you) didn’t include peach. I sheepishly offered that the stained glass, which could last for hundreds of years, would outlast the paint job and perhaps they should consider decorating around the art, which in this case was the stained glass. 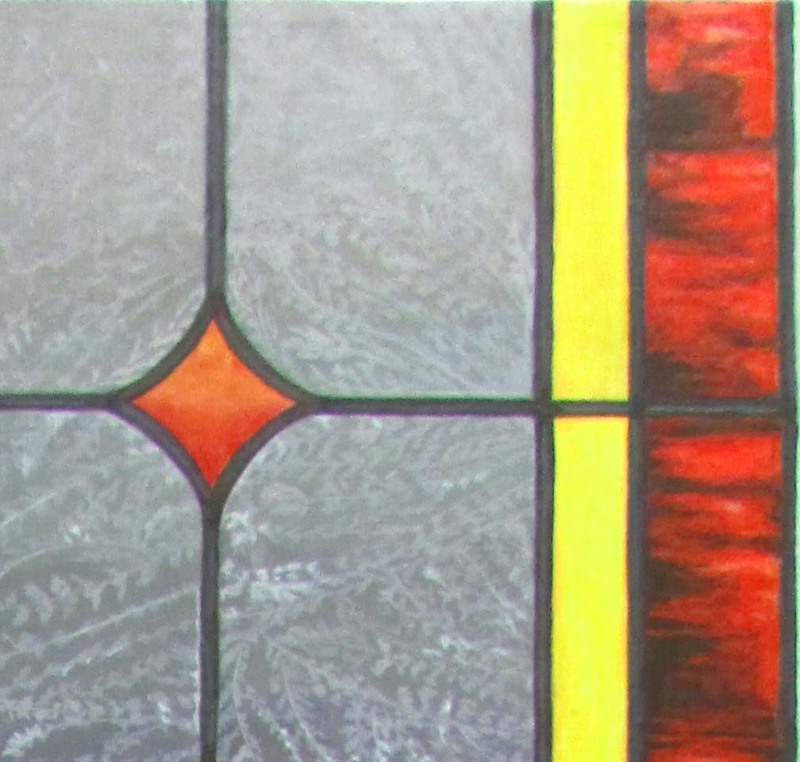 One of the committee members then considered the combination of red and yellow for the accent pieces in the glass. Other committee members nodded in agreement until the grumpy lady proclaimed, “those are Catholic colors!” Did I mention this was a Protestant congregation? I must have looked a little aghast, and bewildered. For one I didn’t think it was true, and even so, so what? My kindly Kindergarten Sunday School teacher leaned over and whispered in my ear, “I think they are all God’s colors.” I smiled. There was one more reason for liking this dear lady. Well the committee finally came to agreement. I made a note to self. Never, no never allow ten people to make a decision on four colors. For people making a decision on ten colors would be hard enough. Ever since then, I have always liked the idea of small committees, or rather teams, to make such decisions. Decorate around the art. The painting and furnishings will change. Art can last for generations. Be very intentional about who and how many to make decisions. All the colors are God’s colors – forever and ever, Amen.